Next Meeting. Details still to be confirmed, but we’re planning to have a tasting at Lena’s Wood-fired Pizza and a behind-the-scenes tour of the facilities at Yates Corner on the evening of Monday, April 29. Details will be publicized once set. Paving Survey. The City has asked for community input on plans for repaving and making safety improvements to certain streets, including Commonwealth Avenue between Braddock Road and King Street. The survey closes on April 5. See https://www.alexandriava.gov/tes/info/default.aspx?id=103183. Spring Cleanup. 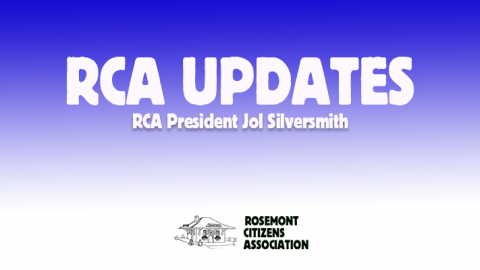 In most of Rosemont, the spring pick-up day for large/odd items will be Saturday, May 11. See https://www.alexandriava.gov/tes/solidwaste/info/default.aspx?id=84166. Metro Closure. It’s less than two months away – are you ready for the closure of the Metro south of National Airport doing the summer of 2019? In preparation for the closure, bus bays and kiss-and-ride will be relocated at the Braddock Road station in late April/Early May. See https://www.wmata.com/about/news/Metro-to-relocate-Kiss-and-Ride-lots-bus-stops-ahead-of-summer-Platform-Improvement-Project.cfm. Keeping Informed. 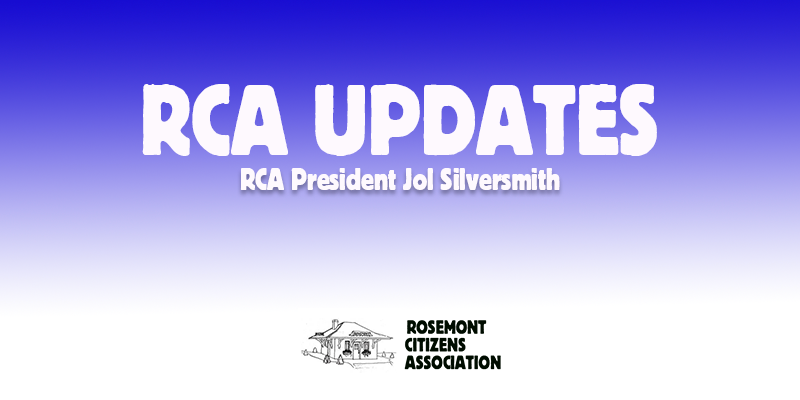 We try to provide regular updates on local news, Rosemont history, and general happenings in the neighborhood and Alexandria via our Facebook page (https://www.facebook.com/RosemontCitizensAssociation), cross-posted to Twitter (https://twitter.com/RosemontCitizen) and our web page (http://rosemontcitizensassoc.org/facebook). Please consider following one or another (as well as the independent Rosemont email list, https://groups.yahoo.com/neo/groups/rosemontva/info, and the community forums at https://nextdoor.com).